Art - a room is never really complete without it. If you're having a hard time choosing an artist or photographer to start your art collection, why not look to your own belongings first? A lot of the items stashed away in our storage rooms can actually be displayed on our walls instead. Take a tip from these clever designers and bloggers and display some personal or sentimental items - every time you look at them it will make you smile, and bring back a fond memory or two. 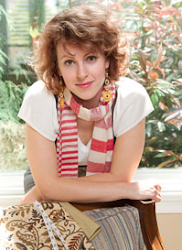 Here, Barbara Matson of hodge:podge created her interpretation of a plate collection. Instead of just displaying plates, she used her collection of new and heirloom dishes to frame two botanical prints, and crowned the installation with a carved gilt mirror. Unexpected and beautiful! 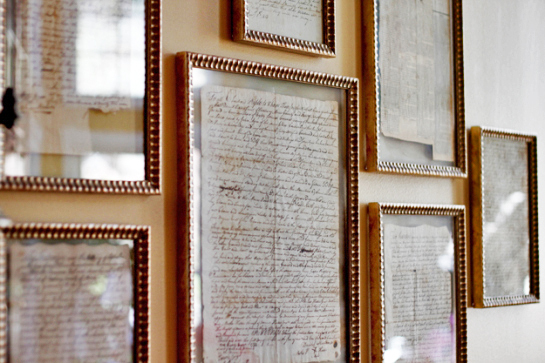 If you're committed to the sentimental route, consider framing some old family letters (if you're lucky enough to have them, probably in a shoe box). Make a collection of the most interesting letters - unifying the look with similar frames. The old penmanship and patina on the paper will give an old-world charm and would be perfect in a den or home office...just make sure you're not displaying anything too personal! I've had this image below in my inspiration folder for a long time. The graphic and bright nature of these handkerchiefs make them perfect to display as art, and the simple framing really lets the prints shine. Michael Penney has a knack for creating vintage-casual vignettes that I love. I can imagine this cheery grid in an entry, mudroom, or kids bedroom. 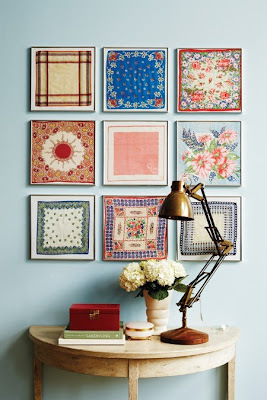 Even if you don't have a collection of your grandmother's handkerchiefs, this is an inexpensive project to achieve - check local thrift stores often and you can score great authentic textiles at a low cost. This is quite unconventional, and wouldn't have a place in every room, but is a great alternative to art if you're on a budget (and have a lot of jewellery). Display an eclectic mix of earrings and necklaces in different style and colour frames. 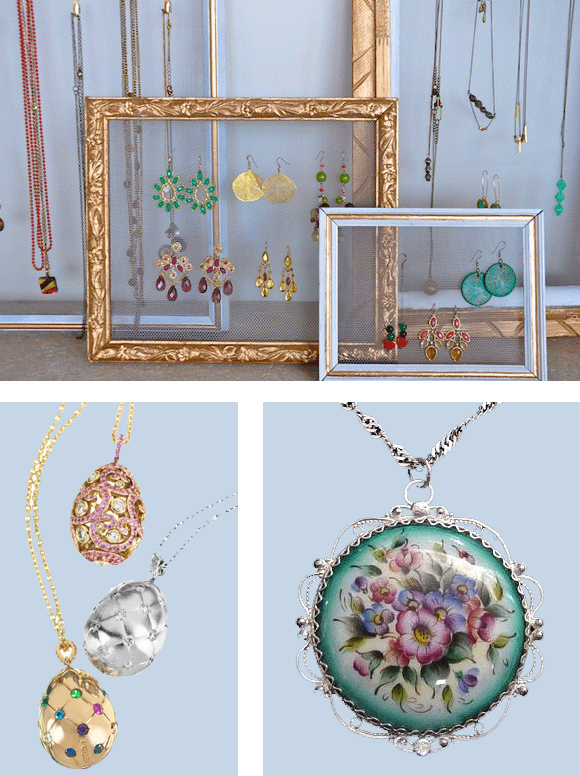 A lot of earrings can be quite bold and colourful, and the great thing about this is that you can mix and match, and change the display as often as you desire! This last image, of textile designer Bev Hisey's bedroom, showcases just how creative you can get with art. 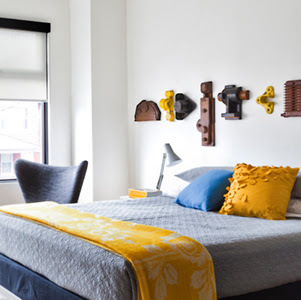 She has chosen to display her collection of wooden machine-making moulds above the bed. The strong graphic shapes and variation of colour and texture are such a striking focal point that she has forgone the headboard! I love it. Posted by Unknown at 10:01 p.m.